I had asked a question on math.stackexchange but did not receive any answers. I hope that this question is appropriate for this website as it is about an advanced subject. Hence I am posting it below. Note : I realized that there is a related question but the answers there mostly contain references to original papers rather than books or comprehensive reviews which is what I am looking for. J. Kock, 2003, Frobenius Algebras and 2-D Topological Quantum Field Theories, number 59 in London Mathematical Society Student Texts, Cambridge U.P., Cambridge. F. Quinn, 1995, Lectures on axiomatic topological quantum field theory, in D. Freed and K. Uhlenbeck, eds., Geometry and Quantum Field Theory, volume 1 of IAS/Park City Math- ematics Series, AMS/IAS,. These do not really get near the physics but you seem to indicate that that is not the direction you want to go in. .... and don't forget the summaries in the n-Lab can be a very useful place to start a search. 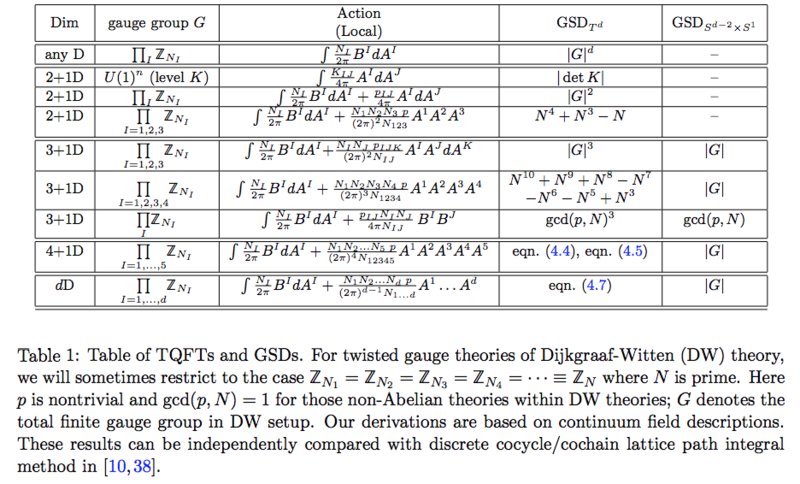 The recent articles below since 2016 contain systematic and useful introductions to the new development in 3d and 4d TQFT or more general arbitrary d-TQFT, with an eye toward applications for strongly coupled condensed matter system and topological quantum matter in 3-dimensions, 4-dimensions and any dimension. 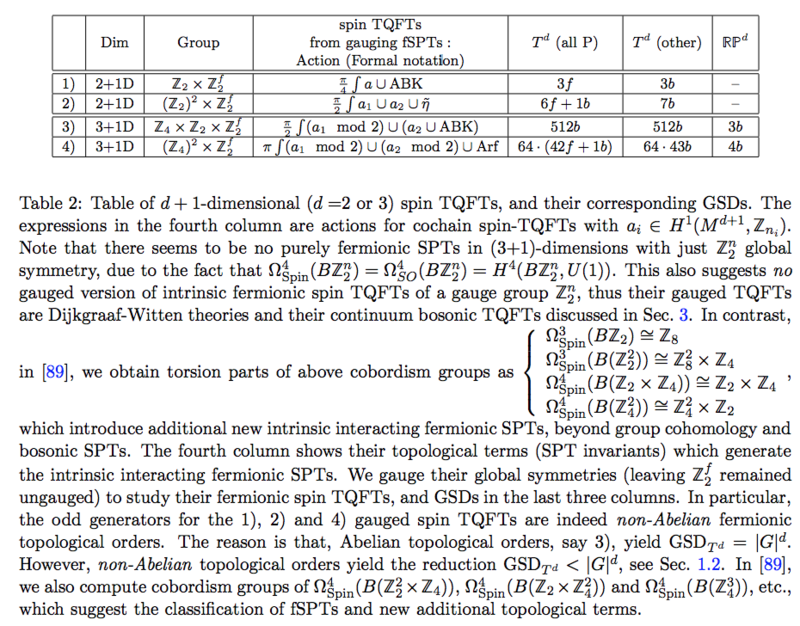 The authors point out the relations between quantum Hamiltonian lattice models, the continuum TQFTs and group cohomology/cobordism theory. 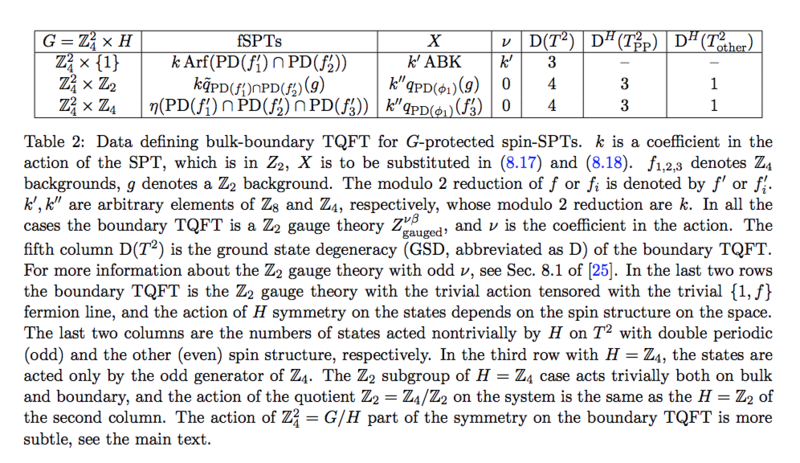 "Braiding Statistics and Link Invariants of Bosonic/Fermionic Topological Quantum Matter in 2+1 and 3+1 dimensions"
"Tunneling Topological Vacua via Extended Operators: (Spin-)TQFT Spectra and Boundary Deconfinement in Various Dimensions"
"Fermionic Finite-Group Gauge Theories and Interacting Symmetric/Crystalline Orders via Cobordisms"
Not the answer you're looking for? 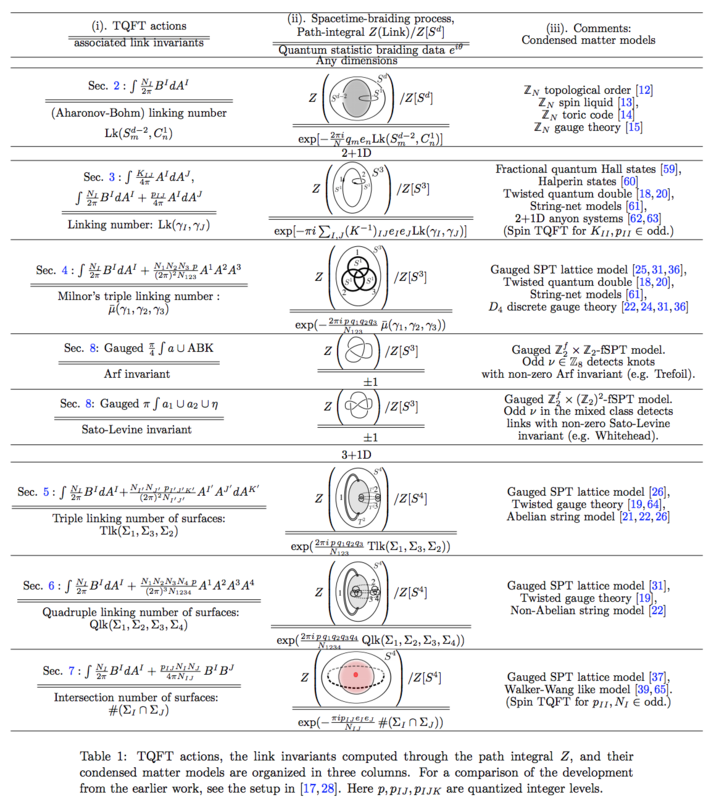 Browse other questions tagged reference-request at.algebraic-topology ct.category-theory mp.mathematical-physics tqft or ask your own question. 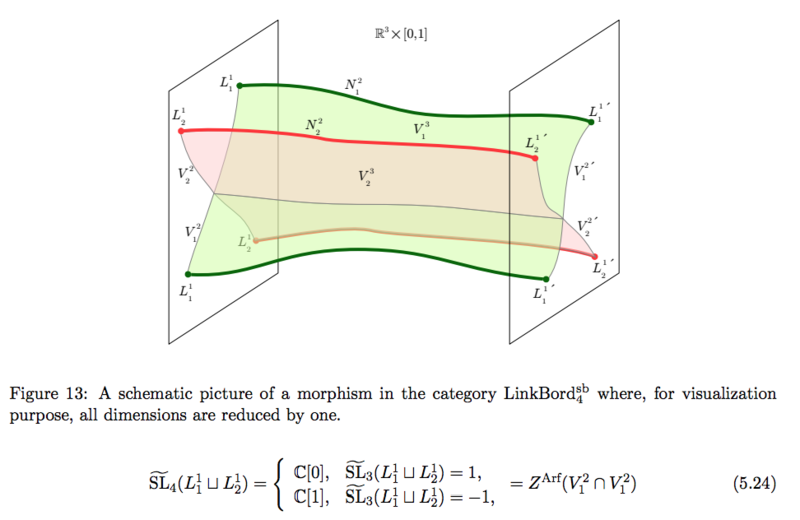 A reading list for topological quantum field theory? How should a number theorist learn a modest amount of algebraic geometry?